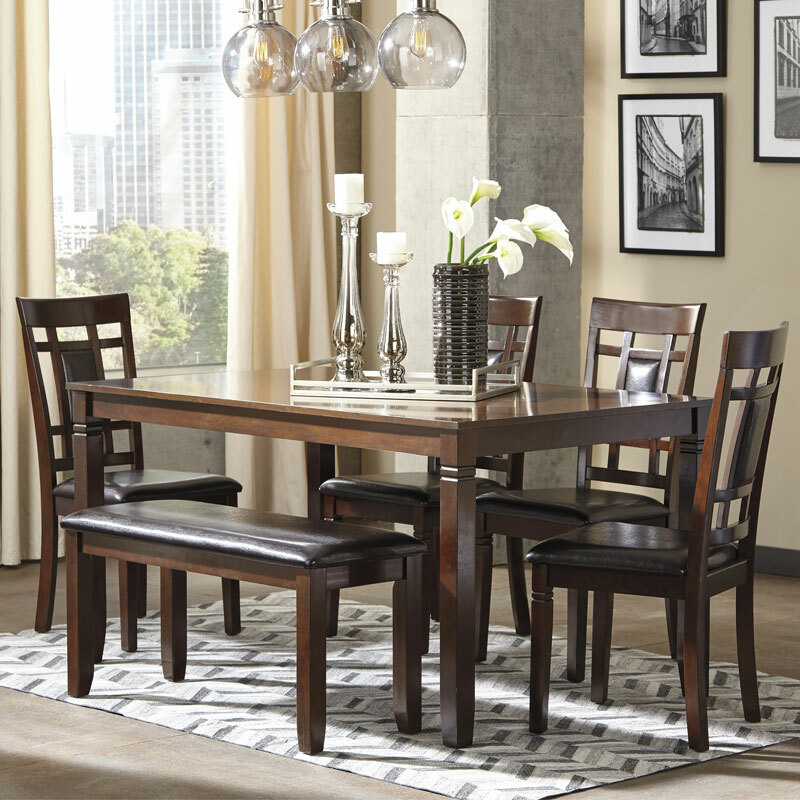 Set the scene for ultra-contemporary style with the Bennox dining room table set. Table's rich, dark finish and clean, gently tapered profile is the epitome of great taste. Cutout-design chairs with upholstered seats and back supports are a cut above. Addition of upholstered bench incorporates a generous helping of casually cool flair.